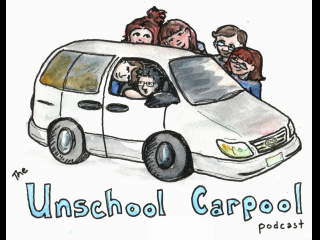 Discover The Unschool Carpool When you mess up. A bonus snow day episode. Last week was busy. I was super hormonal (and nauseous to boot), moody as all get out, stressed out the wazoo, and had too much to do. Did I mention cranky? And I screwed up with the boys I watch. But they forgave me in the end and when they left (after this was recorded) I even got a hug from the oldest who is NOT a huggy sort. Forgiven. Just a reminder that we parents, no matter how long we have been parenting, no matter how gentle, no matter how much we believe what we are doing - we all screw up. So what do you do to repair the relationships?